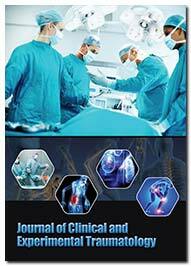 Journal of Clinical and Experimental Traumatology is an international peer reviewed journal that prioritizes publication of research findings in the field of traumatology, with special reference to clinical issues regarding treatment of polytrauma, severe head injuries, chest trauma, abdominal trauma, extremity trauma, blunt trauma, pediatric trauma, dental trauma, orthopedic trauma and thoracic trauma. The journal focusses on the furtherance of biomedical research pertaining to trauma management in critical cases of skull fracture as well as head and neck trauma. The journal features original research, review articles, clinical cases, perspective, commentary and others that showcase research developments in intensive care practices adept in trauma care and management. Journal of Clinical and Experimental Traumatology is an open access journal directed towards traumatologists, psychologists, physicians, surgeons and researchers working on intensive care and treatment practices.